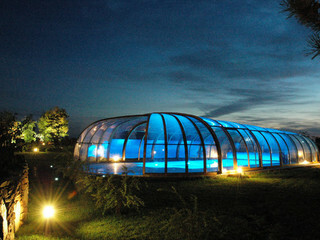 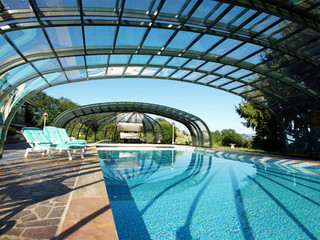 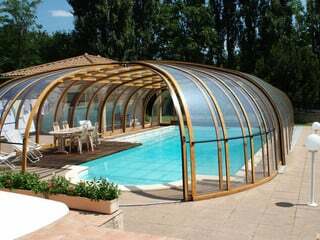 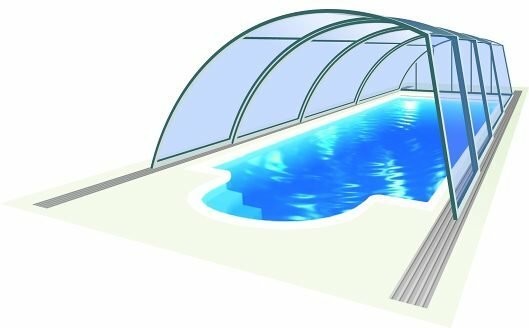 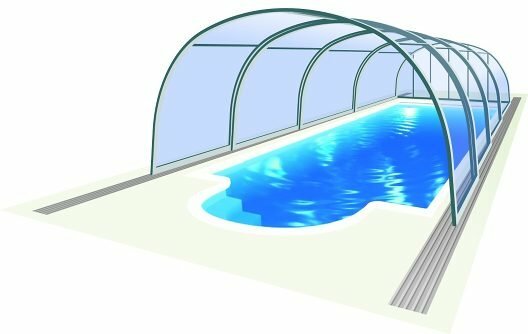 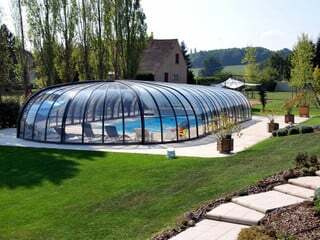 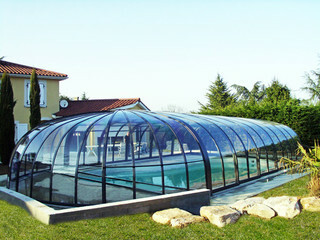 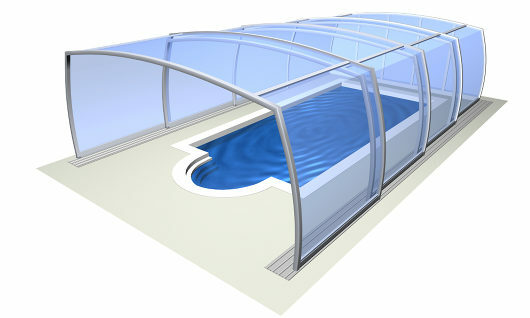 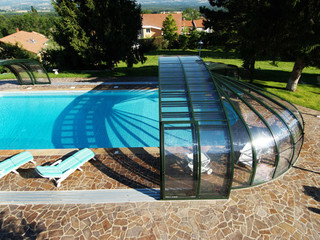 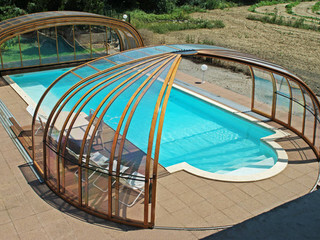 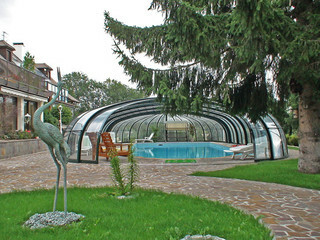 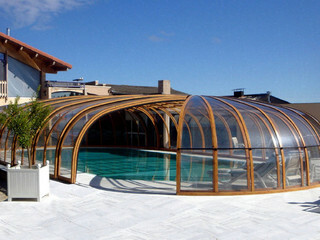 Olympic is a marquee product made exclusively by Pool and Spa Enclosures. 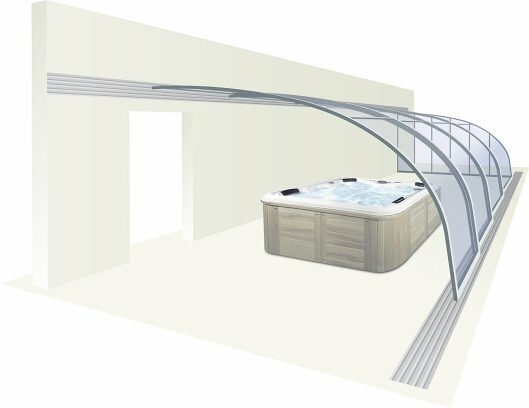 With its eye catching design and option to have one or two domes at each end gives the user multiple usage options. 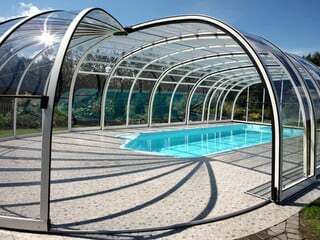 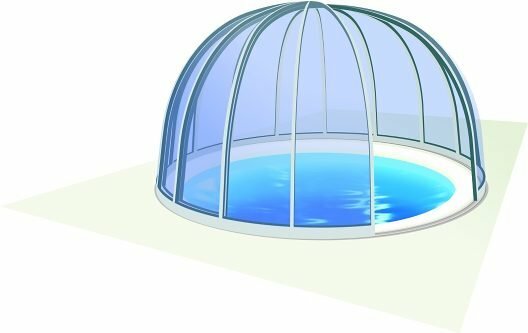 Spacious enough to walk around, each dome can open and close up to 90 degrees with the main structure having the facility to slide open too. 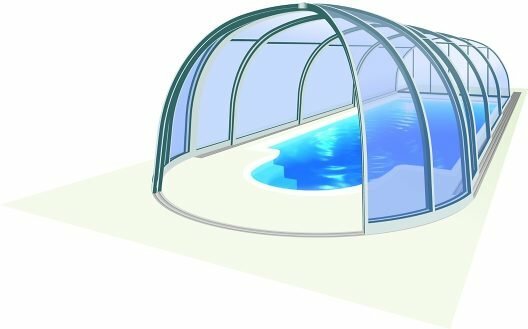 Like all our enclosures the Olympic comes with the option of an electric remote control motor to open and close the enclosure. 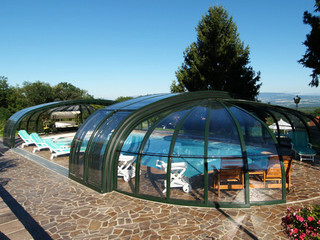 The color of the aluminum frame looks lively in the wood effect color (available in all models).